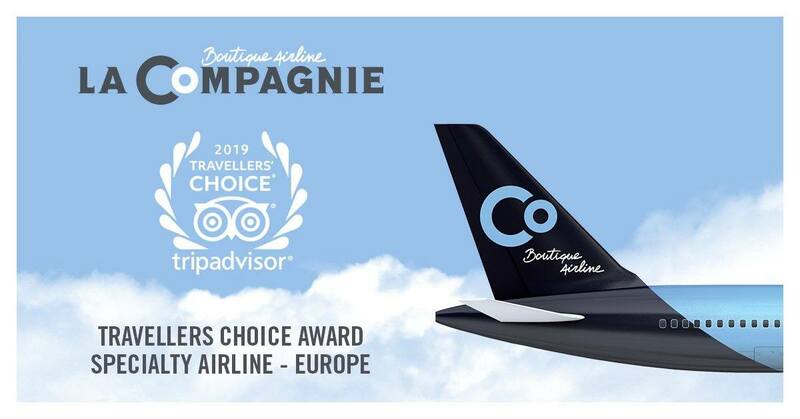 2019 TripAdvisor Travelers’ Choice award for Specialty Airline, Europe went to La Compagnie! Based on the quantity and quality of reviews and ratings by TripAdvisor flyers,Travelers’ Choice award winners are determined using an algorithm and data submitted by travelers worldwide over a 12-month period. The hallmarks of Travelers’ Choice award winners are outstanding service, quality and value –all of which represent La Compagnie’s unique approach to business-class travel. This honor comes as amazing news for the still-young boutique airline who is preparing for the delivery of its first Airbus A321neo in May 2019 with the first commercial flight scheduled for June 6, 2019. The thoroughly modern, efficient and eco-friendly Airbus A321neo will take La Compagnie’s in-flight experience to new heights with more comfort and state of the art on board technology, including a new entertainment system and complimentary Wi-Fi service.